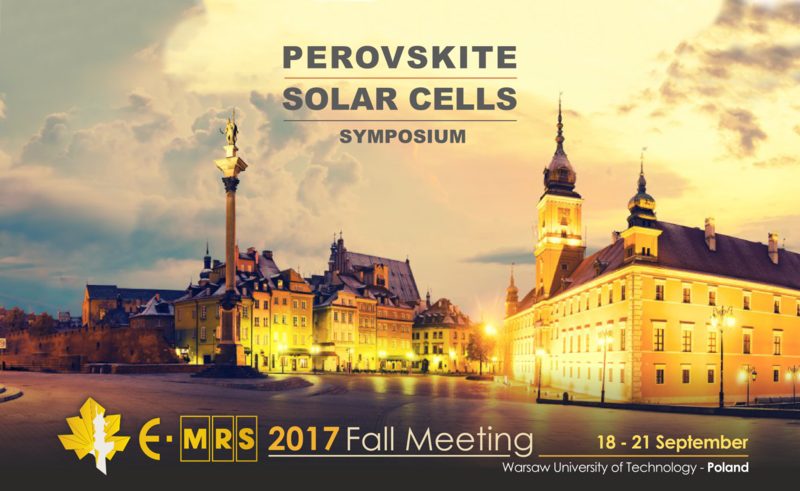 18-21 September 2017, the GOTSolar consortium organised a symposium devoted to recent progrees in perovskite solar cells. The chairpersons of the symposium were GOTSolar leaders: Janusz Lewiński (IChF PAN), Adélio Mendes (U. Porto) and Emmanuelle Deleporte (CNRS), and the local organising committee consisted of IChF PAN students. The event was hosted at Warsaw University of Technology. The PSC symposium was organised within the framework of the European Materials Research Society’s Fall Meeting gathering 1000+ scientists in materials science in 20+ symposia of different topics.